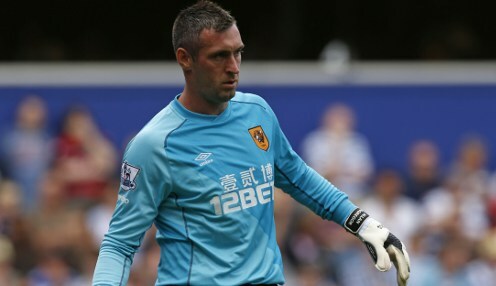 Scotland manager Alex McLeish has admitted that goalkeeper Allan McGregor's international retirement is a blow though not a surprise. The Rangers keeper is 37 and announced the news ahead of Scotland's forthcoming Euro 2020 qualifiers against Kazakhstan and San Marino later this month. He obviously wants to play as much club football as he can and try and keep himself right for that. McGregor leaves the international scene having made 42 appearances for Scotland in 12 years and was first choice in their Nations League campaign last season. McLeish said he was disappointed by McGregor's retirement but understood the reasons why. He said: "I kind of knew this day would come. I have kept in touch with Allan for a year now, since he came back into the fold. "He knows his body now. He obviously wants to play as much club football as he can and try and keep himself right for that but he is suffering in certain parts of his body at this stage of his life." McLeish was speaking as he named his squad for the games against Kazakhstan and San Marino with Celtic's Scott Bain, Jordan Archer of Millwall and Sunderland's John McLaughlin named as keepers. The game against Kazakhstan is on an artificial pitch and the Scotland boss confirmed that Cardiff's Callum Peterson and Bournemouth's Ryan Fraser will not be involved after an agreement with their clubs. The squad also includes Hibernian striker Marc McNulty for the first time after scoring five goals in six appearances while on loan from Reading. Scotland are 23/20 to win the game in Kazakhstan who are 3/1 with the draw 9/4. England are 5/1 to win Euro 2020 with France 10/3 and Germany 7/1.